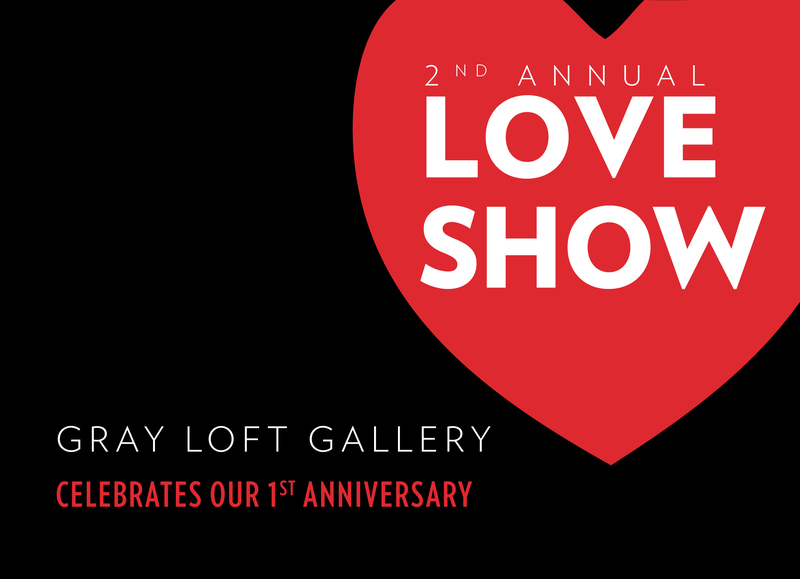 The Gray Loft Gallery celebrates its first anniversary with the 2nd Annual Love Show, which will feature artwork by more than 25 artists. 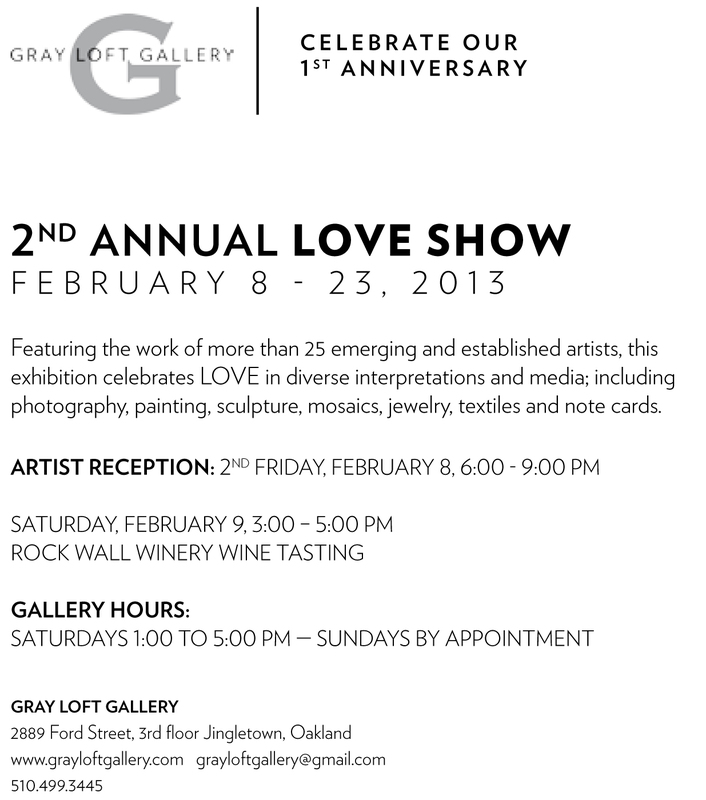 On display will be photographs, paintings, collage, sculpture, jewelry, textiles and handmade cards – which reflect love, passion, lust, hope, romance, broken hearts, unrequited love, true love, and hearts in many shapes and forms. This is not a Hallmark Valentine show, but rather a visual dialogue about love in its many incarnations and interpretations that reflect a diverse theme of love. If you want to avoid the crowds at the 2nd Friday artists reception, join us on Saturday, February 9, when Rock Wall Wine Company will be having a wine tasting of their current releases from 3:00 to 5:00 pm. Join us for a delightful afternoon of art and wine in Jingletown.